I learned in more detail about using Apache Kafka, the speaker lucidly spoke about the pros, cons, rakes. I would like to try to use on our projects. I was impressed by the report of Yaroslav Shuvaev on the design of products based on AI; the subject of authorization of an operation on a person’s face is interesting, convenient in terms of paying for purchases, and especially in using loyalty cards. The Data Science section remembered the report on Conversational AI (developing a bot that speaks like a human). A report from the category that I would like to try myself in some personal project. On the second day there were a lot of topical reports on backend topics. Unfortunately, not everything worked out because they happened at the same time. I was interested in the report on the translation of Spring Boot applications in Java 11. The topic is relevant because Oracle stopped supporting Java 8 and it’s time to start preparing for the use of a fresh version (although there is enough of a rake there, judging by the report:)). It was also very interesting to listen to the JVM developer with a fairly simple, but at the same time complex, topic of translating a switch into java-bytecode. I liked the whole atmosphere, met old friends, met new people. Liked the tasks / entertainment at the sponsor stands. In general, it was fun and productive. And, of course, it is worth mentioning the after-party, in which a group of IT people performed with a soloist who sang, hmm, how to call it, the covered covers of famous performers on IT’s theme. It was fun. Well, after-after-party with colleagues was great, too, team building well done! 1) Localization testing, as well as some localization development principles. 3) “Engineering chauvinism” – about how to get out of development when you become managers and not to have destructive feelings about the fact that you stopped writing code. Just a report that quite specifically describes the movement of the developer horizontally or vertically and the problems that arise. From what you can try / apply: statically the code analyzer from PVS-Studio (it is screwed to Jenkins or SonarQube, integration with Intellij Idea is also announced, I didn’t quite understand what form it was). Unfortunately, the product is paid. According to the organization: everything was fine, half the merit of the Expo Center, half – the organizers (I think). There were also fun activities on the stands of different companies. Of the minuses I have noted: too much attention in the Future section, which generally indicates the focus of the conference – less specifics, more abstract topics. Developers, I think, still need to look towards specific conferences in their stack. The presentation “Make a fly out of an elephant” by Vadim Makeyev was quite interesting. He specifically focused on the graph, and specifically, prohibits the use of gif as an insert from the video, in this case is better than WebP. I also went through the use of CSS properties in the example using the “hamburger menu,” which later drew using SVG, and the CSS Paint API; gave quite a few interesting examples. There were a couple of boring presentations. A presentation about the “Analysis of the vulnerabilities of the authentication process” made me think about the simple things that you usually miss. The same interesting presentation was from the section “Data science” about “how to make a bot that speaks like a person.” The presentation of Ilya Klimov, “Framework Wars: Episode 2019,” was well-presented information, as well as the disadvantages and advantages of the three main frameworks: Angular, React, Vue. Martin Hochel presented “Ultimate React Component Patterns with TypeScript.” I was pleasantly surprised, not by the fact that, like some others, he held live coding session, but that he showed the use of some of the new products from React, which I had previously heard in another presentation. In general, of course, the conference is interesting. 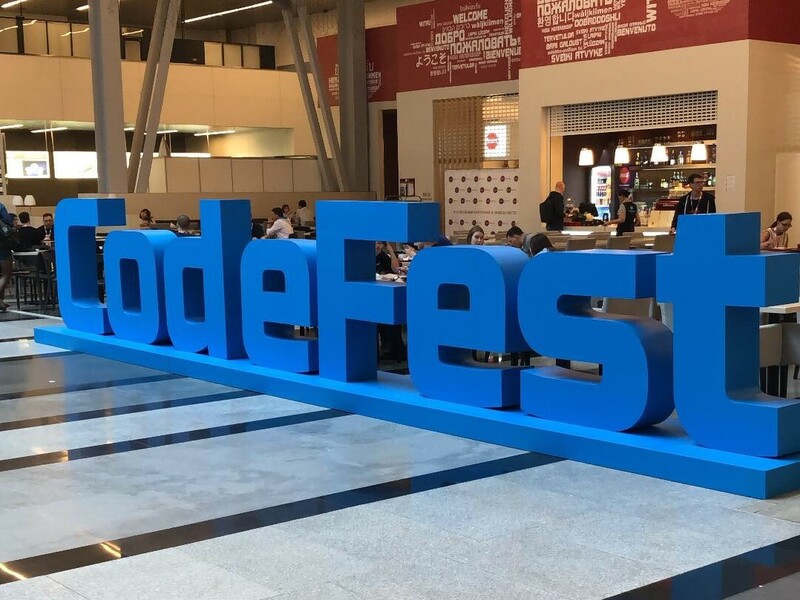 Before CodeFest I had many questions regarding my work, or how others work, how product development works. I did not receive answers to all my questions, of course, but most of them were covered. There was a lot of information about project management and communicating with colleagues on the team. Another huge plus was that almost every speaker gave a list of references for studying the issue in detail. 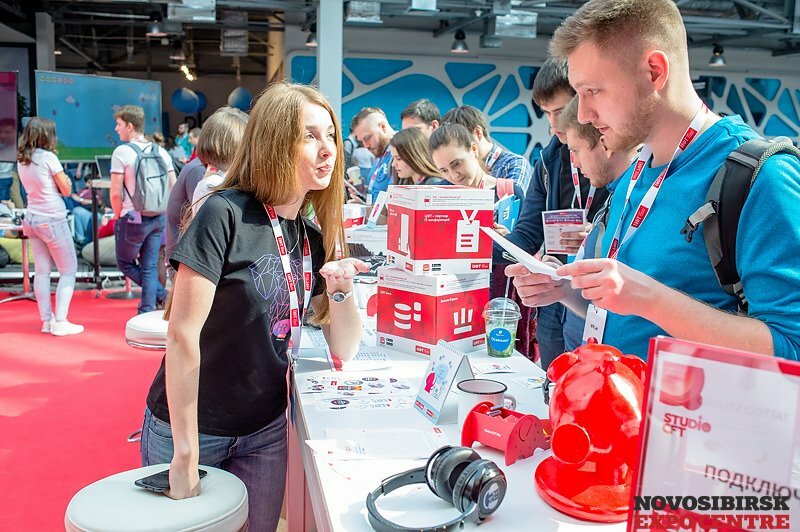 Our colleagues said that there were talks about product team experience and software development are quite different… But I think that if you learn competently, re-read all your notes, communicate personally with the speakers and analyze all this, you can apply these tools to our company. The main thing here is to have initiative and constructive dialogues with teams and with management in order to build everything competently. Speaker’s experience you found useful. – The manager should have: Personality; Knowledge; Experience. – The project manager should be able to: plan; to understand the plan / fact analysis; to communicate. – Practice presenting your work. Write yourself on the phone so that the message was no more than 30 seconds. – A long project is an opportunity to develop a product using new opportunities. – It is necessary to observe people at meetings with the customer to identify key persons. – Responsibility cannot be delegated, it can only be taken. The basic idea was that working with documentation is also a process, and it has a similar structure and life cycle with the development of software products, features, etc. I learned a lot of new and useful things for myself that I plan to study in the near future. I want to figure out how to build the process of working with documentation so that it has good quality and is completed within a reasonable time. What would you like to implement? – work planning (daily) not only that the managers plan their work and celebrate progress in the evening, but the rest of the staff does it, too. Summing up, I would like to say that such conferences are absolutely necessary for both personal and professional development. They give a push and a vector in development. Communicating with new people, professionals is always useful for sharing experiences, acquiring new knowledge. I am grateful to the company, which makes it possible to attend such events! Viktor likes collecting the stickers exhibitors hand out; he has a very large collection. 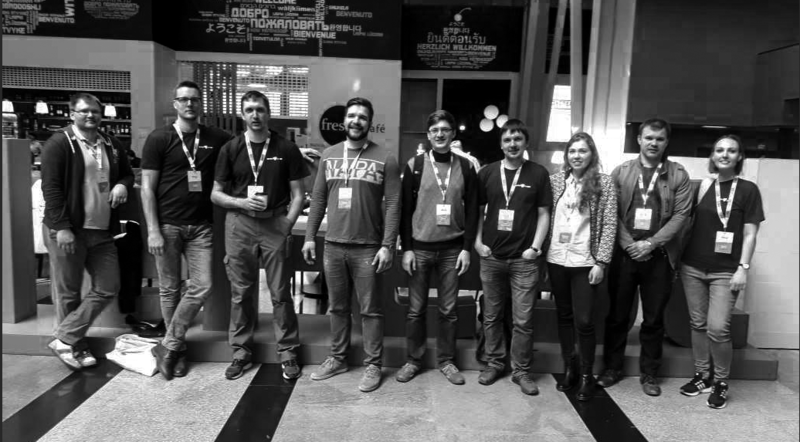 It seems our Java developers were impressed most or they are just better communicators / writers, because they shared their thoughts and impressions for our blog first. Our company has many other teams. – Digital transformation from strategy to implementation.